It’s a nice short month this one. Not that I’m wishing it away, but it seems fair after January was such a long one. And it’s full of fun in the form of half term and more, so if it’s crept up on you a bit (like it has with me) and you’re looking for ideas and inspiration, you’ll find them here, categorised according to what you and yours love to do (read more). If you’re looking to buy or rent in and around Nappy Valley (where else? ), then take a look at our property pages, full of homes and school catchments so you’ll know the distance from front door to school gate (read more). 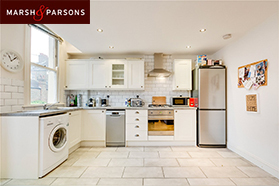 For rent on a short-let (ideal if you’re renovating) with Marsh & Parsons is a 2-bedroom flat in a Victorian conversion in Clapham Old Town, close to transport links and the wide open spaces of Clapham Common, with an open-plan kitchen/reception room, a modern finish and wooden floors throughout (read more). 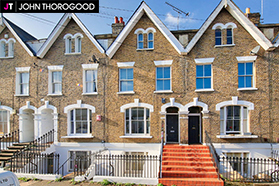 For sale with John Thorogood is a 3-bedroom 3-reception room semi-basement Victorian home just off Northcote Road and very close to Battersea Rise with two floors of entertaining space, an en-suite to the master bedroom and a 40ft south-west facing garden (read more). 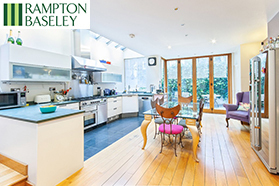 For rent with Rampton Baseley is a 4-bedroom family house on one of the most sought-after roads ‘Between the Commons’ and off Clapham Common West Side, beautifully finished and with plenty of light and space as well as good storage in the cellar and a utility room (read more). 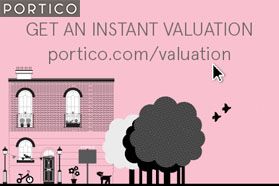 If you’re thinking of selling, letting or even airbnb’ing your property this year, then seize the day to see how much it would be worth in just a few short clicks with Portico’s instant valuation tool (read more). One of our team tackled Clip‘n’Climb with her toddler recently and they both loved it! Make the most of a great offer of one free toddler session when you book any of their weekday Toddler Climbing sessions. Grab a friend and climb every mountain… (read more). It’s Chinese Festival Day at The National Gallery on Sunday where you’ll find dumpling making, fan decorating and storytime in Mandarin (read more). Or stay closer to home and head to Wen Lin School’s celebration of The Year of the Pig at The Bolingbroke Academy – games, riddles, performances and prizes (read more). P2 Kids After School Activity Club is a daily session of music, dance, drama and arts and crafts in Balham, which runs a ‘walking bus’ system to collect the children (aged 5 to 9) after the school day is done (read more). Balanced hormones for a happier life: The Stressed Woman’s Guide is a two-hour workshop at Killik & Co on Northcote Road led by leading nutritionist, Kay Ali aiming to help you rebalance your hormones (read more). Suitable for absolute beginners as well as those who already practise, there’s a session at YogiYoga on Sunday – A Meditation Workshop with Alexandra Taylor, time well spent with you in mind (read more). London Small Biz Network is holding an iPhone Film Making Masterclass with a corporate film maker and ex-BBC cameraman to teach you the art of getting the best out of your phone’s camera (read more). And with 14th February on the horizon, Ben’s Canteen in Earlsfield is holding a Valentine Gin Lover’s Dinner which sounds great for both lovers and/or lovers of gin. Win, win (read more). Or head to The Landmark Arts Centre in Teddington for Snow White Rose Red Bear Brown. Puppets, original storytelling and a fantastical fairytale forest ideal for those aged 5 and up (read more). Bach to Baby’s Half Term Family Concert in Wimbledon is picking up on the Valentine’s theme (did someone say Valentine’s?) with their programme, Season of Love (read more). The Common Lands exhibition in Herne Hill is a collaboration between two children’s illustrators on the themes of biodiversity, habitat destruction and migration through prints and painted models (read more). Brick Wonders opens at the Horniman Museum, a paradise for LEGO lovers and keen explorers alike. Travel the world via little bricks recreating the major sights, not to mention all the other wonders of the museum (read more). It’s Hot, It’s Not is a weather-based surreal, funny and carefully crafted physical performance for 2 to 5-year-olds at the Unicorn Theatre (read more). Hit the slopes this half term and parents don’t even have to dust off their salopettes with the Camp Suisse Half Term Ski & Snowboard Camp (and a lovely 10% discount) (read more). Trinity School Half Term Sports Camps offer the choice of hockey, basketball or cricket (read more). Kimberley Swim Clinics Half Term intensive courses will have them plunge perfect (read more). Dulwich Lawn Tennis Club’s Half Term Holiday Tennis Camp is for all levels aged 3 to 15 (read more). February Half Term Ballet Fun – LCB Juniors is for dancers 5 to 11 wanting to work on their ballet and jazz (read more). London Sports Academy’s Sports Camp is at Burntwood School with laser tag, archery, jail-break, tag rugby and more (read more). Open Air Fit is running two Half Term camps on Wandsworth Common – multi-sport for children aged 4+ and football for those aged 8+ (read more). On a 2-day Aerial Workshop with Flying Fantastic Bankside, 7 to 16-year-olds will get to hang upside down and spin all around..(read more). Head to Orleans House Gallery for Flowing Through Time, an artist-led printmaking and collage workshop looking at life on the Thames past and present (read more). Also in Twickenham is Sensing Shapes, an exploration of the five senses and the creation of 3D fabric to be suspended and admired (read more). Half Term Workshop: Make your Loveable Teddy is at Eddie Catz Earlsfield, a drop-off session for 4 to 8-year-olds to make their very own bear to have and to hold (read more). Sparks is running The Scene of the Crime Movie-Making Camp at Broomwood Hall – acting, directing, filming and production (read more). Sing, dance, record and perform at Half Term Musical Fun with Upbeat in Chelsea (read more). And for some practically perfect half term fun, head to a Mary Poppins-themed Dance & Creative Workshop with Dance Grooves (read more). Or let them strut their stuff at the Funky Feet Disco at Eddie Catz. Disco ball included (read more). Role Models’ Resilience Course – Celebrating China is running with Dragon Teaching, developing resilience and learning about Chinese culture and language (read more). At the Miniversity Half Term Camps they’ll have a go at being entrepreneurs, architects, doctors and news reporters through the wonderful world of IT (read more). The RSPB joins KidZania city, where children can make their own bird feeders, with Maverick Snacks on hand to encourage healthy, junk-free snacking (for the children, not the birds) (read more). Don’t miss our NappyValleyNet offers and competitions. We’ve got some fab prizes – £100 Edward James voucher for a new hairdo, the chance to paint a ‘street art’ wall in Wandsworth or win a Harlequins training session for your school or club. And you can’t beat family-friendly Gitcombe with 15% off any time in 2019 – we went, we loved…read our review (read more). Or how about 30% off white spot treatment with Glow Dental or 25% off an online First Aid course? Take a peek (read more).